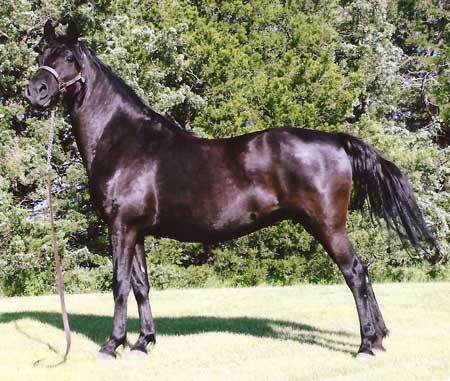 This is a homozygous black mare that is a product of several generations of our breeding. On her dam's side, four generations back. Her sire is RG Rimlo Prince Valiant, who was born here on our ranch. Carbon Katie has a very sweet disposition and is a joy to be around. She stands 15.2 hands and has no white markings.